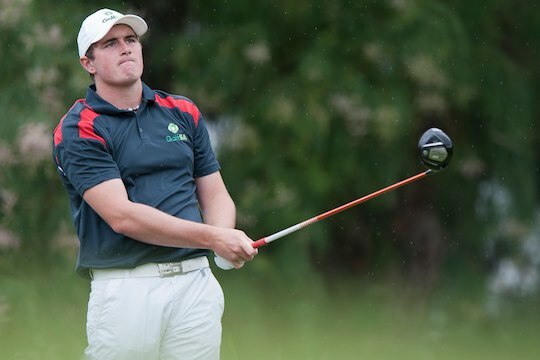 SA state representatives Brad Moules and Anthony Murdaca have been chosen to represent Australia at the 2011 Spirit International at Whispering Pines Golf Club in Texas. Moules and Murdaca join reigning Srixon Australian Amateur champion Ashlee Dewhurst (TAS) and Jaimee Dougan (QLD) in the Australian side which takes on 18 other nations in the unique best-ball event which is held from 2 to 5 November, 2011. The Australian side is coached by SA state men’s coach Gareth Jones, who recently oversaw Australia’s victory at the Nomura Cup competition in Fiji. Established in 2001, The Spirit is a biennial event that alternates tournament years with the World Amateur Team Championships. Featuring the world’s best amateur men and amateur women golfers representing their respective countries in team and individual competitions, the 80 participants enjoy an Olympic like experience from the Opening/Closing Ceremonies, international village and medal-based competition prizes. Played over 72 holes of best ball competition, five separate competitions are conducted: International Team (combined best ball of the Men’s and Women’s teams), Men’s Team, Women’s Team, Men’s Individual, and Women’s Individual. Gold, Silver and Bronze commemorative medals are awarded to the top three places in each competition.